My goal for this computer was first, to replace my aging (9.5 years...) Dell Inspiron 530. I wanted something that could play the latest and greatest games at maximum settings (on my monitor...) and that would last a while. My component selection was based more on reliability than anything else - I don't plan to overclock beyond what the manufacturer gives me, so I didn't go with an unlocked CPU, and while the current trend in chassis lighting certainly looks cool, it's not really my style. I went with the Corsair Carbide 200R case - it came with two fans, tool-free drive mounting, external drive bays for an optical drive (which I need), two USB3 slots on the front panel, and no lighting other than the power and drive indicators. I picked a high reliability board from Asus (TUF Mark 2) with a Z270 chipset to go along with an Intel i7-7700 CPU. For the motherboard, I wanted high reliability (I like the reinforced PCIe slot for the graphics card), the ability to run SLI if I decide to do that down the road, and the ability to try the intel Optane stuff if it becomes a thing. I really liked the connector that the board came with that lets you plug everything into that (from the chassis) then plug that into the board - made it less of a rats nest running cables. Paired that with 16GB of DDR4-3000 memory and an EVGA nVidia GTX 1070 graphics card. For the power supply, I went for reliability/stability and for an EVGA SuperNova G3 unit. 550W is easily 200W over what I need, so I should be good there. Went with an M.2 drive for the OS and main programs, coupled with a regular HD for general storage. Already thinking about adding a second SSD drive for games. Overall, I am very happy with it! Very easy to install, and looks great. Pretty quiet and seems to be keeping things cool. It comes with thermal paste and clips to add an extra fan. Overall, hard to beat for the price! Really nice board - comes with the board, mounting screws for the two M.2 slots, a CPU installation tool, an SLI adapter, 2 SATA cables (one right angle, one straight for mine, but I have seen pictures with two straight ones), and a connector to consolidate all the small case cords (reset, drive light, power button, etc.). It is a little shorter than most ATX boards (which I already knew from watching a number of reviews) so it won't catch the final row of screws. Just make sure you support the motherboard when installing things on that edge, like the 24 pin connector. 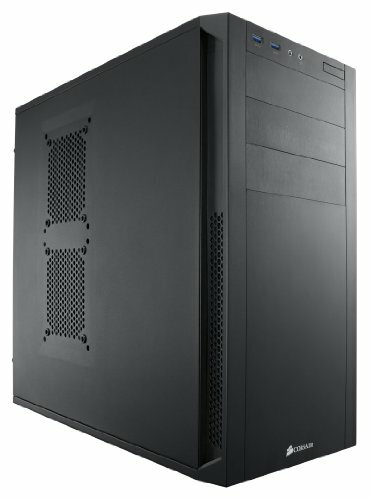 Bios is very easy to worth with. When using the M.2 slot furthest from the CPU, it disables the SATA-0 connector (which I already knew - however, if you set it up and it can't see the drive - check which connector you are using) - there are 6 total SATA connectors. It does not have much along the lines of LEDs on it for show, just some functional ones for the boot sequence, etc. - there are some LEDs around the base of the board that sort of "pulse" (I think the manual calls it "breathing"...) - supports a wide range of memory speeds - I am running DDR4-3000. First M.2 drive I have used - they are freakishly fast! I am using it for my OS and main programs. Very happy with the purchase! Installation was easy - note that it does not come with a screw kit (your motherboard should) so if you don't have one, you'll need to get one. Very fast - I love it! Cooling fans are pretty much silent. I got mine on Amazon, so it didn't come with the free games it comes with on NewEgg and some other spots, but other than that, it it well built, and very fast! Really happy with this case. Has tons of room, plus external drive bays for an optical drive (which I needed), and two very quiet fans. Does not have a window, but does have provisions to add fans all over the place, including the side panel. I really like having the two USB3 sockets on the front of the case. Overall, I am pleased - particularly at this price point. It's Windows 10, so you know what to expect (whether or not you like that is up to you, I suppose) - I went with the Pro version because I wanted bitlocker. 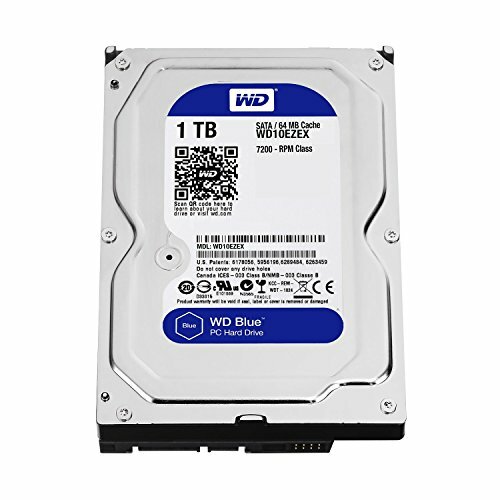 I have seen a lot of folks have issues with buying the media-only Win10 disk - I think you need to make sure you buy from a reputable seller, and don't go low-bid. I bought on Amazon, from Amazon - the disk came in a sealed envelope inside another sealed envelope. There is a silver sticker over the registration key - the sticker is clear with that silver crud you can scrape off with a fingernail or coin - that's what you want to do - if you peel the sticker, you might remove the numbers from the certificate and not be able to read them. I scraped mine off, entered the number when installing, and it installed and activated smoothly. You made a VERY good choice with the 200r case. I own it, and the airflow on it is simply incredible. The ONLY downside to the case is that there are no filters for it, so I had to make my own from some mesh I bought off of Amazon, and I still have to take the entire front panel off to filter the front intake fan. But yes, this case looks great, it's price is great, and it's wonderful to work in. Just kidding, nice build! How about more pictures and better cable management? Enjoy! I asked Asus this question earlier today and the CSR I spoke with said yes.